The early adopters of Bitcoin (BTC), and numerous other cryptocurrencies, have seen their holdings increase in value over the years to astronomical levels. 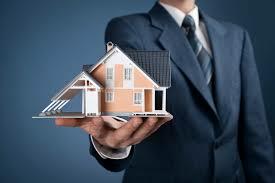 Some early HODLers are choosing to further diversify their crypto holdings into the global real estate industry. This is the case with the early adopters of Bitcoin in China. Guo Hongcai, a beef salesman by trade, turned early BTC adopter from China’s Shanxi province, is one of the crypto millionaires diversifying their investments by channeling their crypto gains into the global real estate industry. In April, Hongcai sold 500 BTC in the U.S and used the finds to purchase a 100,000 square foot mansion in Los Gatos: a residential area that is a 90 minute drive from San Francisco, California. He also owns a Rolls-Royce that is parked at the property as part of his purchases from the BTC sale. It’s very normal to sell bitcoin in the U.S. After selling bitcoin, you can just buy anything you want. Mr. Hongcai calls his new residence his ‘Mansion of Chives’ for the word ‘Chives’ (which is also a vegetable) is Chinese slang for crypto investors who are vulnerable to big sell-offs. Hongcai joins other Chinese crypto millionaires who are diversifying their holdings after the Chinese government started clamping down on crypto activities in the country earlier this year. Some have been known to purchase properties directly using crypto. Others use BTC to gain foreign currencies which they use to buy properties with. We’re seeing that more and more people are willing to buy properties with cryptocurrencies because it’s getting easier to get their money out of the country using bitcoin, rather than establishing a bank account based in Hong Kong and getting their money out of the country using business channels. One such property that was listed by Propy earlier on in the year, was being sold for $16 Million with payment options including Bitcoin (BTC), Ethereum (ETH) and XRP (XRP).